"Hello! After all the Years, I still love his voice very well. Best regards, Lucky "
"Thank you very much, the pleasure is mine!" "Thank you for your Award to Wir Records and all friends inside and my fans you can follow me on you tube Writing Elio Ippolito and all the song Will appear. Hi Peter your friend Elio. See you, hasta siempre...."
"Thank you so much for the great precious Award sent to me. And have all the Wir people good life and beautiful days for August Vacancies, see you on September. So long Elio"
"Tku so much to Peter and to all the Wir people and the Ernie Way still follow Keeping alive a great music and a big Message of love for you all country Fan and lovers. See you Elio"
"I thank you dear Peter for all I am receiving friendship, people who follow me, great satisfaction, and a growing of a kind of music I begin to love and I am discovering day by day. During my days I usually spend as all the people, I find myself to sing the leith motif of the songs I have recorded. Honoring Ernie and I feel myself to have done a good thing and perhaps made some people happy with my covers. This for me together with Yr awards are for me all I have more beautiful now in my life. Thanks Elio"
"Ciao Ernie! I´m very sad to know about the death. I didn´t know. I´m an italian country singer, I´ve just heard a couple of songs from Ernie and I must say they´re very good old country songs the way i like. So i say you ciao to Ernie Oldfield family!" "Ciao grazie! I am very pleased to receive from you. This award that for me is a joy and get me forward to explore the world of Country and keep in my heart. Beautiful songs and words that every day give me love and strenght how going on. Tks Peter for all you and all Wir friends, Elio "
"I want again to thank you for the base Support and for a frienship that lasts Just fm many months.All have been done with The spirit to make these covers with great pleasure and in the same time the honour to sing beautiful lyrics and Good country music discovered since My first lucky Ernie‘s blues. Thks again PETER to have given me a chance to be Known and having People that can Hear my Covers. See you my friend. ELIO"
"Tks again for your beautiful present that is the case to say I am proud to collect. The world of country, blues and rock is still fascinating and has many followers Too. I do my Best interpreting your songs. Compliments also to yr music and lyrics written Clearly and, so Easy for anyone singer or listener wants to "live" also dancing this kind of music. Wonderful. My motto is : improve and stay in happiness, I thank god for these splendid moments I am receiving. Tku Elio "
"Hello! Thank you for your email. I was pleasantly surprised when I first heard the songs. Ernie Oldfield was unknown to us here in Belgium. Now I was honored to sing Tracks of him and we have put those numbers in our playlist that are very good for line dancers. Linedancers loves this music and also I do. Just great! Thanks a lot for the Ernie Oldfield Award. Kind regards, Lucky Wilson "
"Dear Peter! Opening my e-mail I discovered today with really joy you have sent again to me this ambitious certificate of the Ernie Oldfied Award for the month of December 2013. I am really astonished for this, and in the same time very happy and lucky to have reached many new friends that can hear not only my voice but this permit me to continue the legend of these beautiful country songs. Included I send you some photos of me. Tks for all - See you again soon." "Hello! I just hear the songs from Ernie. Great Music and i loved his voice and music a lot. Till I juist read he has died 2008, a great music is gone. LUC "
"Thank you for your Award. I have sent and seen the blog of Ernie so I know who was the man, the known singer and more abt his life and what you are doing to remind all Ernie did during his life. I am proud now to be one of the Ernie followers. Meantime I hope to hear again you and improve by my side other songs. As you were informed by me my records are home done and nothing else. I love Country, Jazz, Blues and Frank Sinatra. I live in Genoa, I was born in Genoa, Italy in 1950. I‘m retired since two years and I love music also classical and I feel myself an American guy since I was a boy, but like Salgari every dream stay here in Italy and never seen my beloved America. These songs are my dreams and so I sing them for this reason, giving me my style of life.... Ciao Aufwiedersehen and... SEE YOU LATER ...... ELIO IPPOLITO"
"Hello and thank you very much for the Ernie Oldfield CD you sent "I Got What I Am". It is a wonderful album and I will be playing it on my country music programs. Thanks Again, Hank Edwards"
"HEY HI THAT IS SO COOL MY FRIENDS THANKS I HAD SO SO MUCH FUN SINGING YOUR SONGS PETER AN TEAM I HOPE TO GET BACK SOON POSTING SOME SONGS THANK YOU FOR ALL THE NICE THINGS YOU HAVE DONE FOR ME GOOD FUN LOVE MUSIC ITS SO NICE TO HAVE YOU ALL FOR MY FRIENDS GOOD LUCK WITH ALL YOU DO IN YOUR LIFES MAY YOU ALL BE BLESS THANK YOU BEAR HUGS JIMMY"
"Thanks a lot, keep sending Ernie’s Music. Best from John. " "Thanks a lot for this Award ! it‘s a real joy for us and an honor. I‘ll put it on our website and on our facebook page.I go regulary to Ernie‘s website.... best wishes for all the team of WIR, Danièle "
"Hello to the TEAM OF WIR RECORDS! THANK YOU, THANK YOU for the award, I did not know that we were going to receive this, and it is very nice surprise. Many greetings, Lientjie and The Rodeo Girls, South Africa "
"Dear Peter Jordan and Team of WIR: Your sentimental January 2013 Ernie Oldfield Award has arrived. Thanks so much! And "Cheers ..." to beautiful music, memories, and you. With love from Canada, Evy"
"Hello Team of WIR! Thank you very much for this unexpected award! I hope to get soon more of your Country Music Artists, this maybe singers, authors or composers. Yours "Crazy Joe" "
"Oh Thanks! I got it! Pablo Bisquera"
"Dear World International Records: Thank you very much for sending me your classy award. I wish you continued success and much personal contentment in sharing your talents to help make this world a happier place with your beautiful music. With love from Canada, Evy "
"I appreciate it. Thanks & Buon lavoro! Pablo"
"Thank you very much. I appreciated it. Have a nice summer!" "Dear Ernie! We never had the honour to have met you, but we are greatfull for the beautiful memories you have left behind through your music. We are honoured to get to know you through your songs and your amazing talent as a singer. Thank You !! and may your voice live on forever!" "HI TEAM OF W I R, THANK YOU, THANK YOU – it is such an honour for us here in South Africa and we are very proud to be getting this award from you and ERNIE OLDFIELD. THANK YOU ALSO FOR OUR GREAT DVD YOU SEND US. WE DO APPRECIATE THIS VERY VERY MUCH. Greetings, Lientjie and the Rodeo Girls Linedancers. " "HELLO TO YOU ALL JUST STOP TO SAY HI HOPE YOU ALL ARE WELL MY GOOD FRIENDS I HAVE BEEN OFF YOUTUBE ON FACEBOOK SHAREING MY MUSIC ALSO I HAVE BEEN SHAREING ALL YOUR SONGS I WANT YOU TO KNOW THAT LOVE THEM ERINE OLDFIELD TUNES PETER SOME GOOD WORK THE MUSIC IS SO HAPPY WITH GOOD WORDS I WILL KEEP SHAREING I HOPE TO POST NEW SONGS ON YOUTUBE SOON BLESS YOU MY FRIENDS AN THANKS FOR NICE THINGS YOU DID FOR ME BEAR HUGS BYE FOR NOW JIMMY"
"Howdy! Thanks sooooo very much I´m been so glad then I recieve your email and I visit the website once again a big thanks. Kind regards, Peter Ahlm"
"WELL ERNIES SONGS IS SO GO HERE IN CANADA -QUÉBEC-GATINEAU. ALL MY FRIENDS TOLD ME TO TELL YOU. YOU ARE A PERFECT MAN FOR EVERYTHING.THEY WON YOU. AND ALL YOUR VIDEOS SUIT ME. A GOOD VOICE YOU GOT. HE IS GOOD FOR EVER . XXXXX MANYS THANKS. MY NAME IS JEAN-CHARLES ROBERT "
"HELLO PETER AN FRIENDS THANKS FOR THIS AWARD SO NICE OF YOU ALL I HAVE BEEN AWAY FROM HOME I SENT YOU A EMAIL NOT SURE IF YOU HAVE IT JUST WANT TO MAKE SURE YOU HERE FROM ME THANKS FOR ALL GOOD THINGS YOU HAVE DONE FOR ME AN ALL OF YOU AT WIR HUGS YOU ARE NICE THANK YOU FOR YOUR HARD WORK I LOVE YOUR SONGS YOU ALL ROCK BLESS YOU ALL YOUR FRIEND JIMMY HUGS"
"HELLO PETER AN FRIENDS THIS IS SO NICE OF YOU ALL I LOVE YOUR SONGS MY DAYS ARE LONG I HAVE BEEN AWAY FROM MY HOME I HOPE TO GET BACK TO YOUTUBE SOON WITH GOOD FRIENDS AN MUSIC I NEVER WANT TO MOVE AGAIN LOL TO MUCH WORK I LOVE MY NEW PLACE AN HOME ANY WAY THANKS YOU ALL ROCK AN THANKS FOR YOUR SUPPORT AN GOOD THINGS YOU ALL HAVE DONE FOR JIMMY BYE FOR NOW BLESS YOU ALL AN ALL YOU LOVE IN LIFE HUGS"
"Hello dear friends from Wir Records! I‘m so surprised about this Award and very happy to get this distinction!! Thank You very much! Nice greetings from Uschi & Blue Rodeo Liners "
"Dear Friends! Thanks very much for sending this new cd from Ernie Oldfield.I download the CD already and listen to the songs and i like them, would play them in my next radio shows. Thanks again......Best Regards......Giel Aarts in Holland "
"Hello! Thank you, Question; Can we play the music of Ernie on our country stations in South Africa. I did play it to my friend. And he just loved Ernie‘s music. Radio Bosveld Stereo and Impala Radio on Internet. Lientjie "
"Thanks very much for the new arrangement, it‘s great and will be added to my playlists, in fact there is not a week that goes by that I don‘t have an Ernie Oldfield song on my playlists ... Thanks again and my best wishes ...Ralph "Keeping it Country" "
"Thank you very much for Ernie’s song. Will be on my next playlist. Much appreciated. Sorry for late e-mail but we have been in Berlin for the Country Music Messe. Best regards from Sweden - Stig "
"Hi Peter and your team! Thank you very much for the CD Ernie Oldfield “re:member”. Just arrived. Much appreciated. I like the “New clothes”. Will be on my next “Country Sunday” playlist. Wish you all the best from Sweden - Stig "
"I never got to meet Ernie, but I have played his music and I will continue to play his music...I also want to thank his team for sending his new album..THIS IS A GREAT ALBUM and I have a show tomorrow at 9am CST (Texas Time) and I will be featuring the music of Ernie Oldfield. Thanks Team and Ernie, you rest in peace and keep writing that music in heaven. RIP. You´ve joined a most elite group of angels..singer/ songwriters like yourself. What a party that´ll be!!! We´ll hear you. Lou Nelson, Texas Drover Records"
"Hi Wir Records, Thanks~But I Am Still Around,Never Not. I Am Sure If Ernie Was Still Here And Around He Would Be Very Great Full For All Your Continued Support You Still Help Him Continue His Music He Did For All The DJ‘s And Fans He Has. Keep Up Your All Wonderful And Continued Support In His Music Which Will Live On For Ever. God Bless! DJ Vickie"
"Thank you very much for the email. It does not seem possible that Ernie was taken from us nearly 2 yrs ago how time flys. I am writing to ask how we can obtain the new 3 track cd‘s as we would like to keep our collection of Ernie‘s song‘s together. Ernie will alway be remembered in our house as he passed away on my birthday (Peter) so now it has become Ernie´s day! Hope all is well at Wir Records. Peter, Sheila & Alex. The Hizon1 Famliy"
"G‘DAY W.I.R Team! We have just opened up a email from yourselves and now lost for words. We have read it many times and are very honoured to have been chosen to receve this award for march 2010. Ernie was a great singer and a wonderful person to know. We were away when Ernie was taken from us all in such tragic circumstances and we could not believe the sad news when we got home. Peter and I decieded then that Ernie music must never die and must be played and heard always. We often wonder how many wonderful songs have we lost with his parting, this we will never know. He is always in our thoughts and his music will always be played by us. Once again thank you very much for this award. We are only doing what we love best playing music and helping the Independent artists. Best Wishes and God Bless, Peter & Sheila, Dj‘s For Independent Artists"
"Thanks a millon for this wonderful award! It is always a pleasure to bring Ernie‘s music to my listeners. Best of luck with your endeavours, Big Al Field, Shoalhaven FM, Australia." "Morning Team Wir! Will redo and put that in title, I think the only ones I haven’t put on You tube yet are the first ones I’ve done. "Boy of Texas" and "My Honey Needs no money". It was great to write with Henry for "Travelling Cowboy", what a great song, “Never change a winning Team”. Happy Holidays. Andy Williams "
"Hoi, thank you very much for your nice words, we like the song very much, we enjoy doing the dance. Greetings, Martine"
"THANK YOU SO MUCH FOR THIS GREAT ALBUM ! ! ! SADLY THATS ALL WE CAN HAVE ..........GREAT MUSIC AND MEMORIES ! ! ! Cheers, George." "Hi Guys! I am pleased to advise the arrival, and of the coming airplay of Ernies latest CD. His music will definitely live on in New Zealand. Regards, NOEL "
"Hey there! Saw your message about a new cd with Ernie Oldfield. I would like to recieve a copy for airplay on Radio DNK 1. Ernie is a special country singer and we like him. It‘s a shame he is gone away, but his songs still lives and that is something. Holger Petersen"
"Thank you so much for the award Ernie was such a wonderful artist it give‘s me great pleasure to play his music via wicr and shoutcast and also on the programs i do for 95.3 & 98.5 Huon fm Best Wishes David Matheson "
"I´m from New Zealand. Love playing ERNIE Music, it so lovely I cannot stop playing it "
"GRAHAM HASSALL, Southern Country Magazine, England. Rating (E=Excellent, VG=Very Good, G=Good, F=Fair, P=Poor) Album SUCCESSION: Track 1= VG Super Singing & Music, Track 2=VG Beautiful Singing & Music, Track 3=G Enjoyable Offering, Track 4=E Classy Sensitive Track, Track 5=E Terrific Singing & Music, Track 6=VG Appealing Singing & Music, Track 7=G Pleasant Offering, Track 8=VG Enjoyable Singing and Music, Track 9=G Nice Singing & Music, Track 10=VG Sweat Singing & Music, Track 11=VG Top Class Singing & Music, Track 12=G Appealing Offering, Track 13=VG Brilliant Track, Track 14=E Great Instrumental. - MaxiCD In memoriam JIMMY MAKULIS: Track 1=VG Classy Singing & Music, Track 2=E Brilliant Singing & Music, Track 3=VG Enjoyable Track, Track 4=G Pleasant Offering, Track 5=G Nice Singing & Music, Track 6=E Terrific Instrumental. Thanks for sending above CDs. They are great. Graham Hassall"
"Hi guys! Thanks for the cd‘s Ernie Oldfield "Never change a winning team". Great song played it a lot on radio. Good to see other artists singing Ernie‘s songs on cd "Succession". Hope you guys send me the final album of Ernie‘s songs when you release it. What a great band you have for the backing. Get great coments from listeners. Thanks Guys! Kind regards to all, Harry Higgs." "Hiya Ernie! Wow thank you so much for your CD: Ive listened to it this brill and will 100% add to my Playlist. Thanking you once again. Stay safe and god bless, JUNE"
"Message: Hello WIR i am a DJ on Radio Woodville in New Zealand. I have just received you delivery of SUCCESSION. I have played this through and will be presenting it on my show on Wednesday evening which goes from 7pm till 10pm. Thank you for giving our listeners the oportunity of sharing this selection of music and artists. The 3 play of Ernie Oldfield will be featured also. Continued contact and information will be treated with the greatest of respect. Thank you again. Kind Regards Glan Johansen"
"Team Wir, I have to say thank you so much for this opportunity. Though I consider myself above average with all the talent in the linedance world presently. It is a very AWESOME feeling to see my name associated with an Artist like Ernie Oldfield (with what I’ve read about him) and see my dances put on a company’s web site like yours and the artists website as well. I look forward to working with you a lot more. Thank you so much and who knows maybe some of us may meet on the dance floor somewhere. Andy Williams "
"HI‘ TO ALL IT IS MY PLEASURE TO HELP IN ANYWAY TO PROMOTE ARTIST AROUND THE WORLD. ALSO SOME OF THOSE GREAT ARTISTS THAT ARE NO LONGER WITH US. TAKE CARE AND HAVE A TOP WEEKEND FROM PETER "
"I am sad to see such a great talent leave us. I remember an old email I got from him about my song Mother Country Music. He told me Country Music was not dead in his world, so I told him it wasn´t in mean either. So I´ll just say I hope his music never dies, please keep up the good work. Singer/Song Writer Beau Renfro USA"
"Hi Ernie! I´m a 29 years old guy from Iran. I´m here to say something: Some days ago one of my good friends died in a car accident, he left his wife and his two beautiful sons alone... it was hard and sad moment!! Just today I was searching google and very accidentally found your very very beautiful and heart touching song The Sad Moments... I came to your very pretty site and I shocked that you left and went to heaven...... I want to present your song The Sad Moments to my friend´s family and also to your family...... God Bless Your Soul and My Best Wishes for Your Family. (Sorry for my bad english).....Ardeshir, Tehran, Iran"
"Thank you for sending the CD. We will be adding Ernie to our playlist. Any more information about Ernie and his tragic accident would be appreciated as we give our listeners a lot of background about the artists we feature. Feel free to send any additional CD that you feel would be appropriate for our Country, folk, country blues, bluegrass and western format. Thank you! The Old Buzzard Program Director KWBC.FM"
"This is really Great He was a very good singer only sad that he has gone. Hold On for his music With Many Greetings Erwin"
"Hi WIR Records! Thank you very much for your reply to my playlist. I will play all tracks from this excellent CD and of course Ernies recordings. All the best from Sweden, Stig "
"Hi Ernie! Thanks for the brilliant cds you´ve sent me. They came totally unexpected and I was very surprised to hear such fine music. On April 30th I´ve planned to broadcast "Succession" almost totally in our radio show WF COUNTRY in The Netherlands: see addy above! Soon I´ll send you a playlist. Wish you a lot of success! Kind regards, Piet"
"HI, Many thanks for the above album and Ernie Oldfield single ‘Never change a Winning Team‘ which arrived safely this afternoon. Greatly appreciated and will be played with great fondness in memory of Ernie Oldfield. Many thanks & kindest regards, Peggy "
"Hi, folks! We received your Promo 3 track CD "Ernie Oldfield" & songs of Ernie Oldfield "Succession - Various Artists" on February 11 & the music will be included on *SLINGA‘S INDEPENDENT COUNTRY* Radio Show heard through community radio station WYN.FM in Melbourne, Australia. Cheers & have a great month. TONY"
"Thank you for the wonderful compilation cd Succession, all wonderful songs and artists .. and also the Three song disc of Ernie‘s music, wonderful music all around .. thanks again .. Wyn. Whitestone Country and Whitestone City shows." "Hi WIR Records! Thank you very much for the CDs. The 3 songs with Ernie are super hits and the “Succession” CD is a worthy tribute to Ernie that he would have loved. All great songs and very well performed. Thanks to all the artists and musicians on that CD. Very much appreciated. ALL songs will be on my coming playlists. Your Country Music friend in Sweden - Stig "
"Hello all at wir-records, Thanks for Ernie‘s Cd My Guitar and me landed here 20/12/08 another great album the backing band on both albums are excelent you have some great talent over there all the best for the festive season and new year Regards Harry"
"Hi! It was just a pleasure to distribute my playlist, I just had problems in send you anything earlier, because I had lost your address. You are very welcome to send me your snail mail address, so I can update it all. Yes Peter I will love to have Ernie Oldfield on my compilation CD, he is a singer as fit into my taste and into Hanging Tree Records as only use classic and traditional artists. Progressive music is banned. You have surly been inside my web site and read what we can offer, but I will suggest you to connect my partner as take care of economy and recording. I will forward this mail to Dean, so the road forward is cleaned for you. If you decide to use Hanging Tree Records compilation CD, then I have to request a good photo by Ernie Oldfield in use for our cover to the compilation CD. Best from Dann Hansen. " "Hey! Thank you so much for the one cd with to songs by Ernie Oldfield who passed away so early. I have always liked country music, but country gospel music i play in one my radio programs. When I was 6 1/2 years old, I was hit by a car and was unconscious for one week. Today I use two hearing aids, but that doesn‘t stop me in making my radio programmes. Country Gospel I have once a month, I have also a programme called Southern Gospel which airs 3 to 4 times a month. I found three cd‘ on the internet web site of Ernie....."
"Hello Guys, Thanks for the CD I GOT WHAT I AM. Ernie Oldfield it arrived in the mail today 11/12/08 they are all great songs cant wait to play them on air the guys made an excellent job of that CD. Merry Xmas to all. Regards Harry Higgs." "thanks for the cd package arrived today we will aim to programme it in to the show within the next 4 weeks due to the show beeing prerecorded thanks again and stay tuned for the best music on the radio, dave "
"Dear Friend! Thank you very much for the letter with the Ernie Oldfield‘s last album ‘My guitar & me‘. Very good country songs, his cd is in my ‘Rockin‘ Chair‘ programm. The listeners love the songs. I do in my programm shows a game and the listeners could win a cd, if you want to send me some cds. And it‘s a very sad news his death, I think, he‘ll become a fantastic country singer. Thanks for all. Sincerely, Dominique "
"Hey, thanks so much for your cd "Ernie Oldfield" we have præsentert in Country-time..... Yours country frends, Per "
"Hi Team! Thanks for the info re the death of Ernie - how sad and tragic! I first heard his voice on an M-T-M Album and immediately warmed to his voice. I am so grateful to Mark Trail for introuducing him to our listeners. His music will live on that is for sure and I am sure loads of other Radio Stations will feel the same way too. Thanks again for your help, Peggy"
"Many thanks indeed for the above CD which arrived today safe and sound - I have just finished listening to it and it is just superb - I think Sales and airplay will be better than ever with this production. Good luck and keep up the good work and enjoying your music! We all do.Thanks & kindest regards, Peggy "
"Yes, we can put "I got what I am" on MTM30... Ernie was a very talanted artist, i really enjoy his music.. He has touched the lives of many with his music.. hope all is well, smile and have a great day! :o)mark "
"Hi Team of WiR, I Just received Ernie Oldfield DVD,And Wow‘I Watched the whole thing. and he loved horses like me..The whole DVD is Just marvelous and Beautiful, only one thing he didn‘t show his face much ...he must‘ve been shy,huh.. they all Beautiful Video‘s,Thanks so much..hope you all are doing some better. it will take us all some time to get over him for sure..All the best to you all,always. Everyone should have a Copy of this Video is Just an outstanding video if him to watch, about the songs he sings...He sure will be missed....Thanks again all you at Team of WIR. God bless..Have a good one. Your all friend in music, DJ Vickie"
"Hi Team of Wir Records, So Sorry to hear the lost of Ernie Oldfield.he was one of a kind,also one of the best artist in this business..he will truly be missed,about a week before he left us,he sent me a shirt,it was like god sent an angel to me.cause I was feeling sad about this other artist ‘s I didn‘t get one,he came along,he didn‘t send no pictures. so I guess he was one of them like us to remember him the way we was.or he was out of some...not sure..but now I will have tge shirt as well as his music and known he was one artist‘s that stood by his friends no matter what,and that took alot...I will miss him alot,but his music will always live on like the rest I airplay that isn‘t with us either.prayers for his family,,,,again so sorry.....keep up the good work you do for your clients.did you only have Ernie oldfield and Nancy only,or do you have anymore..if you have anymore please send me....I will be glad to add them as well...all my prayers to you all,hugs...God Bless. All my best to you. Your friend in music, DJ Vickie"
"Liebe WIR Records Team, It was a very sad day when I got the news that Ernie Oldfield has past away. A huge loss, and what a tragedy it happened when he was searching his roots, its unbelievable! I didn’t manage to meet him personally but I got to know him a little through his music. He had something very special in his music that touched my heart. I am very grateful that I have received some of his music. The first song on my “Country Sunday” play-list with Ernie was “Bread and Beans” and on my latest play-list, only a week ago, “Let me be your Hero”. Two weeks ago I got a letter from him and a T-shirt I was very proud to receive, and now it has even a more deep meaning for me. Ernie was “Country Music From The Heart” with a touch of Austria. We will keep playing his music on CMR 105,5 in Sweden, and he will be in our minds forever. Maybe we will meet in Country Music Heaven! All the Best to you - Stig & Carina Tornqvist "
"Hi Ernie! Thank you so very much for sending me the T-Shirt, it is very much appreciated and I will certainly use it while at the studio. I played you song "Jacky Joker" on my last program. Thank you again, My best wishes, Kindest regards, "Keeping it Country" Ralph "
"Dear Friend I would be very grateful to you if you could send me information and record on the artist: Ernie Oldfield I am very interested. My programmshows, I host on the Radio RCF Rivages, are based on the country music especially if the artists are unknown, so I could present the artist and the record. 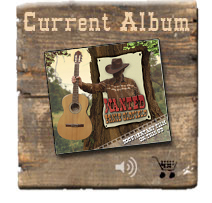 Your contact by ‘Mark Trail Music 29‘ with the fantastic song ‘Jacky Joker‘ and hope to heard others country songs with the album ‘I got what I am‘ Thanks! Looking forward to hearing from you, I remain Sincerely yours, Dominique "
"Hi Ernie, Greetings and a big howdy and g’day coming your way from downunder in Aussie land. Just wanted to drop you a note and let you know that I have received your CD titled: I GOT WHAT I AM Thanks heaps for sending this, I will be sure to give it airplay on my program. My apologies for taking such a long time to get back to you to let you know it had arrived – I am sooooo way behind with my reviewing and listening to music I receive, it seems I’m getting further and further behind instead of catching up, but as the old saying goes “better late that never” hey? Cheers, take care and have a great day. TRUDY BURKE "
"Hi there, I checked out Ernie….loved it. Love to have your talent on my roster on www.redstarr.net Feel free to contact me anytime. Wishin you all your wishes… Sandy Hardin/The RiveRRed "
"Hi Ernie Thank you for your cd... "I Got What I Am" ....Will give you airplay on my next show. Some nice songs on in. Cheers, Sue"
"Hi ! This week your song "I got what i am" is heard in our program. Greetings from Costa Brava - Spain - Europe"
"Very creative video!! Congrats! enjoyed watching and listening to it! Keep up the great work, Smile and have a great day! :o)mark "
"Howdy. Ernie Oldfield’s CD is arrived and there is some great songs as will fit into my programs on CMR in Sweden. I prefer classic and traditional country music, and my listening audience expect I spin this style. The song “Bread and Beans” is such song, but even the music in some songs not fit into my taste, is the lyric top notch. This CD have spirit, and can’t be overlooked, so I’m sure the songs will find airplay in my shows. This CD lean up to the modern country music, but keep the roots in the classic country music, so lovers of both styles will find them good. Best from Dann Hansen "
"hello Ernie thank you for sending your Cd to us we recieved your Cd and we´ve added your album to our playlist by lucky joe internet radio 24 hours seven days a week "
"if you are receiving this message certain information within it are confidential the email is © copyright of on the move entertainment a part of zany sounds promotions and dave smith‘s jukebox show promotional competitions are run from time to time dave smith"
"Hello Ernie, We received just your cd and i want to say thank you very much i will take care that i let your songs play in my programm. I hope that you can take the chance to listen once to www.muziekmolen.nl Many greetz from the netherlands. byebye"
"HI TEAM LOVE THE WHOLE ALBUM OF ERNIE’S LOOKING FORWARD TO HIS NEXT ONE, HAVE A GREAT COUNTRY WEEKEND REGARDS, DE’ARNE, 979FM, KEEPIN’ IT COUNTRY. " "yes i love it a lot and will play it when i dj. thankyou sooo much good luck , hugs connie"
"Hi Ernie, I do a "Just Country" program on our local radio station and was pleased when they handed me your CD "I got what I am" and have featured 4 songs from it into my program. Thanks for that. I like your website, but we need a biography about you so I can tell my listeners something more about you. There is very little on it a present. Can you do that for your fans? .....signing of as Lawrie Copp of Coast Access Radio, Kapiti Coast New Zealand." "Hi Ernie, great to get your CD and I am playing on air in my country breakfast program. Would you like to tell me about yourself as I like to keep my listeners informed, have a great day Merilyn Henderson KIX FM"
"Howdy Ernie, As long time Country Music DJ, and with knowledge about the developent the music have been across, I may confess the classic and traditional is what I proudly present in my shows. A far as I can hear, you belongs to this category, and you is very welcome to send your CD my way for potential airplay. If it can have your interest you can go into my web-page and read more about my doings, perhaps there was something you could use. Sincerely yours in the Country Music Dann Hansen. " "Today have arrived the new CD Ernie Oldfield "I got what I am". Thank you very much. Very good music and vocal. In Sunday have my weekly show in Radio and play more songs from the CD. Best wishes, Sylwia Kakolewska"
"Hi There, Thanks very much for sending the cd from Ernie Oldfield Its good stuff for me and can give it airplay Thanks again and have an nice day, Regards, Giel Aarts"
"Hi Ernie! I recieved your CD and I like it! Good Job! Cover and all Bud! Keep pressing out good CDs like this one! Your friend, Jimmy Stix"
"Greetings. Do you know that I have already received the CD you sent, thank you very much. "ERNIE OLDFIELD - I GOT WHAT I AM" Soon it lodges in my radio program in the news section. Greetings, Josep Palmadas"
NZ Country Music Network Ltd.
"To the WIR Team, We‘re glad you like the airplay, and pleased you sent us Ernie Oldfield‘s music. Compliments of the season to you! Best wishes, Ann "
"HELLO, VEUILLEZ TROUVER CI-JOINT MA PLAYLIST DE CE LUNDI 3 DECEMBRE 2007. MERRY CHRISTMAS AND HAPPY NEW YEAR. JEAN.PIERRE"
"Hi, I have just received and listened to both the CDs. I have chosen several songs for my upcoming programs. l send a playlist when airplaying songs. Stay tuned, George Backer"
"Howdy Ernie, I wish you and your family a blessed Christmas and a very good newyear - many country greetings from Rudy The Free Country Eagle"
"Howdy Ernie, I just listen to your cd "My Guitar and Me". This cd is as good as your other cd I received of you. I didn‘t know that there in Austria such good country singers were. I hope we stay in touch because I like your kind of music. Many Country Greetings, Rudy Minnaert"
"Howdy Ernie, Thank you very much for your cd "My Guitar and Me". I will listen to it and send you a email with a review of your cd. The first cd I received of you was excellent. I hope this cd will be excellent too. I hope we stay in touch. with many country greetings Rudy, The Free Country Eagle"
"Hi Folks! We received your Promo CD "ERNIE OLDFIELD - My Guitar and me" on Nov 22 and we will playlist some of your fine music on our radio show"SLINGAS´S INDEPENDENT COUNTRY" through community radio station 88.9 WYN-fm in Melbourne, Australia. Cheers and have a great week. Tony"
"Dear WIR Records! Thanks a lot for your new release. Here is a preview of next issue of RWNews: ERNIE OLDFIELD is back with a new Album: MY GUITAR AND ME - "Pay me the way", "My Guitar and me", "Bread and Beans (live)". With love, peace and good music, Peter Hills & Philippe "
"Hi Ernie, many thanks for another great cd, we favor the traditional sound, so there is plenty to choose from here, Estelle Bunn"
"Hello Ernie Thanks for you cd I will play on radiostation. I have a countrytime every week so I can play your cd in this program. Love Gyda"
"Received the CD, "My Guitar and Me" in the morning mail today. Will be adding tracks to my country musc program "Keeping it Country with Ralph". Great music, I love it ..... Regards, Ralph"
"Hello Ernie, Thank you for your new CD "MY GUITAR AND ME" good stuff just go it ti day and I will be playing it for my audience right along. Thank you, Big Fred"
"Hi Ernie, received your cd to-day, very nice presentation & material. Many thanks from Estelle in Australia"
"Hi! Just write to let you know that ERNIE OLDFIELD has airtime on my radio station... Please tell me the name of the single that you want to promote more... A couple of listeners mailed-me about how well the live version of "Bread and Beans" sounds... "... (Ernie) had the power to make this song unique and wonderful... please play a little more of his music... ...and I will!!! Keep the good work! Hussein Maloof Flores"
"I have pleasure in advising the arrival of Ernies new CD , and of it‘s coming airplay. Regards Noel Parry"
"Dear Ernie, Received your new cd today, suonds really good, I‘ll make a feature of it on "Christian World" next week. Every Blessing. Ron G D"
"Very very tanks for your‘s album "MY GUITAR AND ME". Your‘s country-frends DJ Per"
"Hi music friends, Here‘s my playlist of today. I‘m always very happy to play the music and the songs from great and talented artists on the station. I wish you all a very nice weekend, Steve. " "Hello WIR-records Danke schön!!! Just received Ernies new CD. You are quiet right this will be a smashing hit!!! All tracks are super. I will choose a couple of tracks for my next “Country Sunday” program. All the best und viele Grüsse aus Schweden - Stig "
"Thanks for sending us Ernie‘s 12 songs. We appreciate that very much. I‘ll write again when I‘ve had a chance to go through them all properly. Best wishes to you all, Peter"
"Hi, Thanks recieved the new cd of Ernie love it and featured it on my show this evening good luck with it. Regards Sandi (israel)"
"hallo ernie thank you for your cd .there are wonderfull songs on it next wednesday evening i will play someone in THE HIGHWAY of COUNTRY i will play more song,s in my show good luck marty west"
"Hello Wir Records, Thank you for sending us Ernie Oldfield‘s music. We appreciate it very much! I tried to leave a message on Ernie‘s website, but it wasn‘t having me! I wanted to thank him for his music, and tell him what a super, fresh looking website he has! If you can pass on the message, I‘d appreciate it! If you have other country artists we‘d be interested in considering them for airplay!! All the best, Ann"
"Hello Austria and thanks for your reply to my playlist. We keep playing the songs you sent. Great Country Music. All the best – Hope to come down and see you one day - Stig "
"Hi, I´ve put song "her bellys full of beer" on brcfp on live 365. Only small station but gets the odd listener. All best, Alan"
"Howdy from New York USA! To whom it may concern, ERNIE OLDFIELD´s CD just arrived at my home office, and I reviewed the CD, and my judgement on this CD is truely positive! ERNIE sings from his heart! And that´s what makes this CD special! I feel that when a Country Singer goes through the trouble and has a CD made, and he sings deep from the heart, that´s a good Country Music CD! Tell ERNIE we like it ..... and I will spin songs off it from time to time! Sincerly yours partners, Jimmy Stix"
"Hello, Just wanted to say thanks recieved Ernie,s Cd I got what I am, Regards From Israel Sandi." "Hi, I received cd. thanks.ill stick the odd track on playlist in few weeks time. love the cover...great stuff. Alan"
"Hello, I´m listening your songs on your web site. This music is totally in the format of my live shows. If you send us it, i will play them. Jean"
"Hi ERNIE! Keep up the good Work, I‘ll play anything you have. I see you have quite a few Aussie connections, well done. DJ Paddy & Trish"
"Hi Ernie! Great Homepage, great Songs! We all in Austria are very proud, because you are one of the best Artists in Country Music. I promise you, that I will play your Songs in my Country Time on www.radiosalzachtal.at every second Tuesday, 20:00 pm. Greetings, Fred Lühne!" "Thank you very much for sending Ernie Oldfield´s very good album. Can Ernie make Radio ID liners for my shows ...singing or spoken ... if possible one with Peelgrass and one with Radio Venray. - Thanks, Rein "
"Dear Folks, thank you very much for your recent promotion CD. We would like to give a response to it. Your music is on air now. Artist(s): Ernie Oldfield CD-Title: I Got What I Am Comment: Emotional and produced perfectly. First-class country music. At the moment our listeners likes the tunes #5, #9 and #11 (Programme director: Christian Claesberg) (DJ: Andrea Stolle)"
"Hello friend‘s I will keep on playing any good countrymusic on my show, for as long as i live and thank you for sending it to me. Wenny"
"Hi there Ernie, just a note to let you know I received your CD and have it loaded and ready to play. Lot of nice songs on it may I add. Keep up the good works, Spinning Ernie´s Tunes, Blue Rose"
"Hello, thanks for sending us ERNIE OLDFIELD´s CD! I added the album to the promotion links of The Country Startpage. You will find it on the left of our site under "We proudly Promote" Normaly we place a link to the artists site and a link to a site from witch the album can be ordered, but I couldn´t find any of them so you can mail them if you want and we will add it also. I hope you will let us promote some other albums in the future. Sincerly, Johan"
"Hi Ernie! Joy and PeJay at Country Roads just dropped in to let you know that "I got what I am" has arrived safe and will be added to our playlist. Thank you for supporting us with your music. Keep it Country! Best regards, Joy and PeJay"
"Hello WIR Records! I want to thank you for the cd from Ernie Oldfield. I got what I am. Please tell him I will play him a lot on my radioshow Countrytime. Great CD! DJ Albert Huizeling"
"Dear Friends! Just received Ernie Oldfield CD / I got what I am today. I have listened already. A very nice, but different style of Country, nice husky voice, this CD will fit in nicely to my programme format. If you or Ernie send it but if Ernie please pass copy to him. Thank you so much, DJ Paddy My motto: Drive as though today was the first day of the rest of your life... not your last. Steward"
"Hej WIR Records! Ernie is a very good Countrysinger! - We will play him in heavy rotation in two weeks from now. The quality of the mp3 is OK. You are welcome to send us more of your music. Best regards, Jytte"
"Hej and thank you for the song. Waw it is very good, I like it. We want some more, and I will play it, but it better if you have the CD you can send us. Thank you, Svend"
"Thanks for sending this great song. It will be on our playlist next sunday! Kind regards, Kick van de Vooren"
"Hi to all! I received the new song and I think it is top stuff! I will hit the airwaves shortly. Thanks again! Peter Harrison"
"My motto is: "No good song goes unheard". Take care thank ERNIE for the great material! Dixie"
"Greetings everyone from KABF. We have been in an on again and off again mode here at the station with programming changes. The Radio RoundUp is now on Thursday from 5:30 to 7 pm CST.We are still on the web at kabf883.com so be sure to listen in! I want to send out a great big thanks to all the folks and artists at the MIAOTW. Your guys are great! Keep up the good work!! We are featuring Roy Cost, Kitty Houston and Jim Owens this week. Next week we will be spinning Pete Rose, Judy Kanyo and ERNIE OLDFIELD. So be sure to listen!" "Very nice. It´ll definitely see airplay on my show as soon as I can fit it in Take care and thanks for the great submission. Dixie Vornbrock"
"Hi WIR Records, Thank you for sending us this song! A powerfully sung slow number. BRgards, Peter"
"Thank you for that! I´m anxious to hear it! Love his song- Great music! Have a great day! Rose"
"Hi Vienna, hope you are all well at WIR. Thank you for sending me another song it will be good to add to ERNIES list here. Many Thanks, Cheers ROD"
"Sorry for the delay and thanking you for the music, but I have just got back to my desk after more than 3 months in and out of hospital and now I am rearing to go. We received your PromoCD "Ernie Oldfield - His belly´s full of beer". The music will be playlisted on SLINGA´s INDEPENDENT COUNTRY Radio Show in Melbourne, Australia. Have a great day! Tony"
"Hi Folks! Could you send me Ernie Oldfield´s Song JACKY JOKER. So I can help to get him up the charts be. Great thanks, Rod"
"Hi Ernie and WIR Records! Thanks so much for the good music you send me and thanks for your reply to my playlists. Wish I had more time to stay in contact with you. Hope to see you soon. All the best, Stig "
"Dear WIR Records! Wow, this is a neat song. You are right it is indeed a joy to listen to. Thank you for sending it to us. Ernie will be in our playlists too! Best luck and best wishes! " "Thanks for sending me this recording. It´s for sure that I´ll play this song soon in my programs. Could you please sent me some info about Ernie? Thanks Kick "
"Thanks. Good song and artist! Will be play listed. Kind regards, Solveig Clark"
"That´s wonderful! Also it is possible for him to do a simple radio liner for the CountryRose Show? Something at least 23 seconds long? Shows folks that we have his blessings to play his great song! Thanks, Rose "
"Hi Vienna, thank you for the song it´s good of you would like to send me more that would be fine. It is always appreciated and makes it easier to put the playlist together each weeks with new material. Thank you. Regards Rod "
"Hi Ernie, It goes well with my playlist and many thanks for the song. I post at 23 post sites where you can check my playlist. Again many thanks!" "Dear Ernie! Greetings and a big howdy and g´day coming your way from the land downunder. Just a quick note to let you know that I have received the two-track-CD featuring the songs: His belly´s full of beer / Bread and beans Thanks for sending this my way. What unusual lyrics and titles for songs, however they are catchy and could grow on a listener. I will be sure to give this some airplay on my program. Bye for now, take care and have a great day! Trudy "
"Hi Ernie, many thanks for your CD and Bio. Nice bright material. The title of track one would also fit many australian men, they also like their beer. Will be giving it some airplay. Thanks again! "